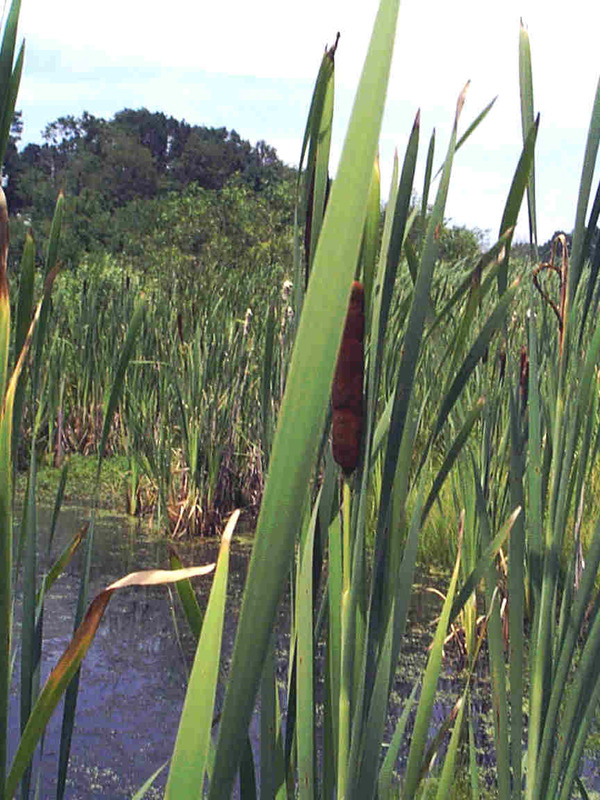 At this site, there are cattails, wool grass (Scirpus cyperinus), soft stemmed bulrush (S. validus) and another dominant marsh plant, tussock sedge (Carex stricta). But note the shrubs and willows (Salix fragilis). Woody vegetation is characteristic of swamps. While not a swamp, the presence of woody vegetation illustrates the diversity of habitats within this wetland.